Don”t worry, Columbia fans: the greatest basketball player of all time isn”t graduating just yet. Okay, that”s hyperbole from a Columbia fan. But you can”t deny that “Chairman” Maodo Lo was one of the Ivy League”s best players in the 2014-15 campaign. 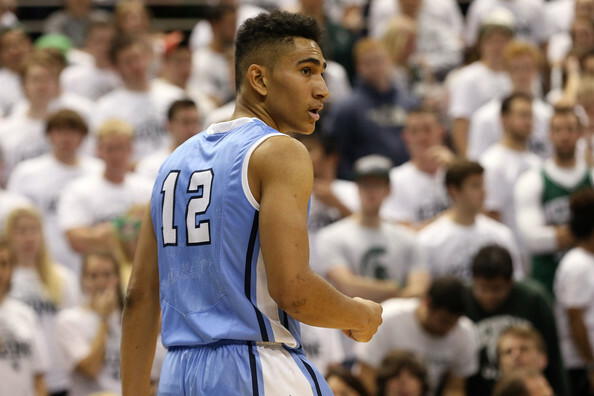 And, despite rumors out of German media that Lo was declaring for the 2015 NBA draft, the junior guard made it clear on Thursday that he”ll be wearing Columbia blue next year. Kyle Smith reminded reporters Wednesday that Columbia jumped out to a 11-0 lead at still-undefeated Kentucky at Rupp Arena and led for nearly 27 minutes before losing to the Wildcats, 56-46. Smith also let slip that the Lions will play at Kentucky, Michigan State, Duke and Wisconsin. If you can’t beat them, join them. If you can’t join them, run away and see if you can beat them next year. This is the lesson that the Columbia Lions have learned, as the entire team has withdrawn from school, saving each a year of eligibility and casting focus to the 2016-17 season. The Light Blue will effectively dodge a a solid Princeton squad, an experienced Yale team with Justin Sears in his senior year, defending champion Harvard with the ever-problematic Siyani Chambers in his final year, and will no longer have to suffer at the hands of Dartmouth’s Alex Mitola, something Columbia coach Kyle Smith will not take lightly. In the Ivy game I’m sure you all were watching on Friday night, Columbia put out a horribly uninspired performance in the Palestra, falling to Penn 54-46. The Lions scored just nine points in a nightmarish first half, knocking down just three of the 20 shots they put in the air. Sitting on the bench, watching three after three clang off the rim (or, in Cory Osetkowski’s case, miss everything entirely), Steve Frankoski sat, unusually quiet, with a large brace on his right ankle. Frankoski’s playing time on this team has fluctuated over the course of the season, but he started to come on down the stretch. The senior picked up his first start in Columbia’s rout of Brown, and scored six points in the first three minutes the next night at Yale. With nine seconds left, Kyle Castlin was suddenly all by himself. Isaac Cohen had flung a floating touch pass, a perfectly weighted through ball that would make the likes of Mesut Ozil proud, over the pressing defense of the desperate Yale Bulldogs. Castlin, breaking away from his man, hauled in the pass in stride, nothing but an empty basket ahead of him. The freshman rose up and put down a two-handed slam, sending a disappointed crowd of 1,900 out into snowy New Haven. 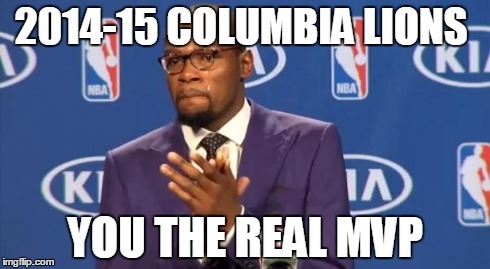 The small clique of Lions fans behind the bench went nuts as Kyle Smith let out a celebratory fist pump, Castlin’s dunk providing the exclamation point on a weekend to remember for Columbia. Results are not the driving factor in fan happiness. Results in relation to expectations are. For example, many Sixers fans are incredibly optimistic about the future despite the team’s putrid results on the court for a second straight year because they understand the front office’s plan and see a light at the end of the tunnel. Oklahoma City Thunder fans expected their team to compete for a championship before the season, but everything changed once Kevin Durant suffered a Jones fracture in his right foot and Russell Westbrook broke his hand on opening night. At 29-25, the Thunder are finally healthy and have an opportunity to reach the lofty goal but will face an uphill battle come playoff time. As a fan of the team, it would be understandable if a full-strength Thunder team got knocked out by the Warriors in the first round of the playoffs. Had you told me this was the likely scenario in August, I would have been irate. All of this brings me to the constantly shifting expectations and the ensuing questions raised by the 2014-15 Columbia Lions. Jeff Coby’s glory lasted a precious six seconds at Lavietes Pavilion this weekend. For six beautiful seconds, it was the biggest shot of Jeff Coby’s life. The sophomore forward from Florida doesn’t have the traditional build of a three-point shooter. He’s 6-foot-9, a prototypical power forward who attempted just three shots from long-range his freshman season. As most Kyle Smith players are required to do, Coby added a three-point shot during the offseason, hitting a respectable 10 of 32 so far during this campaign. None, though, were quite as important as that 10th shot. In the sauna that is Lavietes Pavilion in Cambridge, the 10th shot arced through the air after a brilliant feed from Maodo Lo found Coby all by himself, the clock running down, and the Lions needing a three to complete a brilliant second half comeback against a Harvard team that led by 17 at halftime. It went in. The Columbia corner of the gym exploded. For six seconds, Coby was the hero. 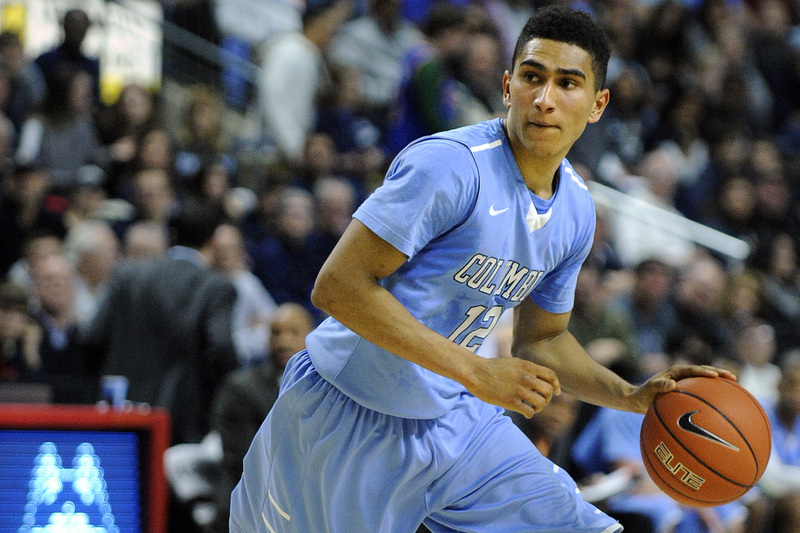 Maodo Lo notched 16 points in Columbia’s 83-56 rout of the Quakers Saturday night. NEW YORK – Last night had the feeling of a bigger game than it actually was. Levien Gymnasium was sold out and deafening as Columbia rained down three-pointers against an easily relenting Penn defense. Press row was as packed as I have seen it since Columbia played against Harvard the last few years or Cornell in 2010 – as in, against teams that went on to win the Ivy League, not one looking to avoid the cellar. Columbia could not have drawn up a better game, and every adjustment Penn attempted was met with a barrage of Lions three-pointers that actually went in, unlike in their previous struggles in their home gym. Unfortunately for Columbia this led to an all too common refrain from their fans: Where has this been the last two weeks?